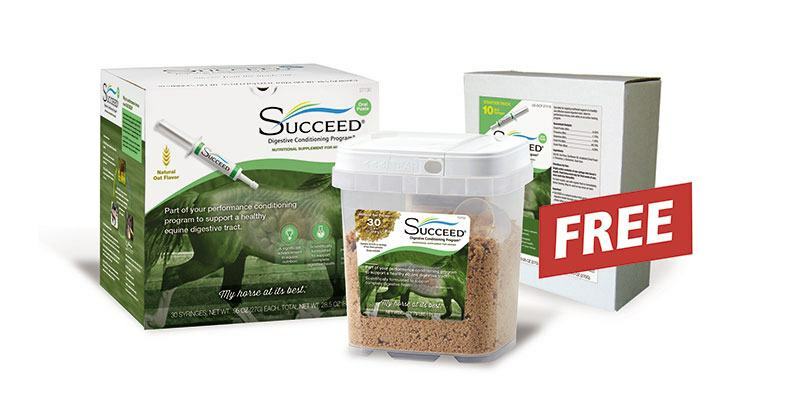 A 60-day supply of SUCCEED® including a carton of oral paste (containing 30 oral syringes) and a 30-day supply tub of top-dress granules, PLUS a 10-day starter kit is included FREE ($39.95 value). Use oral paste for the first 30 days, then switch to granules. 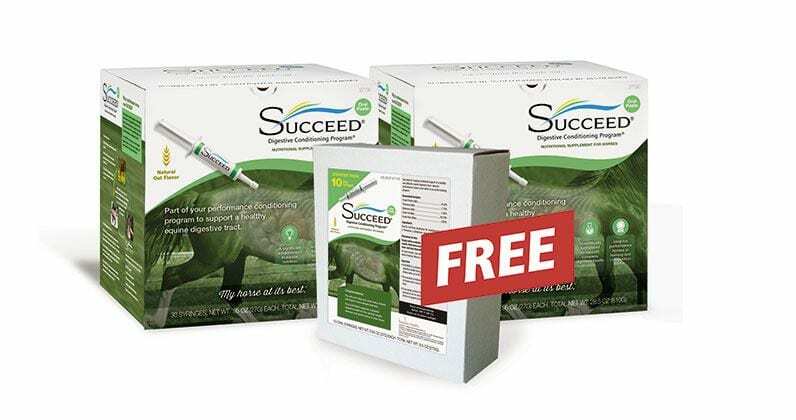 60-day supply of SUCCEED® Oral Paste including 2 cartons, each containing 30 daily-use oral syringes, PLUS a 10-day starter kit is included FREE ($39.95 value).